Two days after the FCC hinted it would not back the planned acquisition of T-Mobile USA, AT&T has withdrawn their merger application with the government agency and announced it will record a $4 billion charge against earnings this quarter to reflect the risks of a collapse of the deal. The wireless carrier insisted that the deal is not dead, and that they'll continue to seek the necessary approval, though at this point it seems the probability of failure exceeds the chance of success. AT&T's $4 billion charge covers the $3 billion in cash and $1 billion in spectrum licenses it has agreed to turn over to Deutsche Telekom if the deal falls through. The merger agreement requires AT&T to secure all necessary approvals by September 20, 2012, though the companies could decide to extend that deadline. 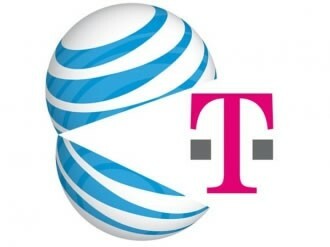 AT&T and T-Mobile parent Deutsche Telekom say they've pulled their merger application with the FCC in order to concentrate their efforts first on obtaining antitrust clearance for the $39 billion transaction from the U.S. Department of Justice, which sued to block the transaction in August over competition concerns. They'll have to either strike a settlement or beat the agency in a trial starting February, then reapply with the FCC. Acquiring T-Mobile would have vaulted AT&T into the leading position in the U.S. wireless market, overtaking Verizon Wireless. On the other hand, suspending the merger would not only send AT&T back to the drawing board, but also leave Deutsche Telekom seeking for potential alternatives to the transaction. The options could include anything from getting a new partner on board and signing network-sharing deals, to finding another way of getting out of the U.S. market, where T-Mobile has struggled to find its niche. Besides the FCC and the U.S. Department of Justice, Sprint has also been very vocal questioning the merger, claiming it would create a duopoly and hinder competition, resulting in higher prices and worse service.